In any kind of emergency situation, being able to contact loved ones and emergency services can be lifesaving. But what happens when the power is off and you can’t charge up your mobile phone? 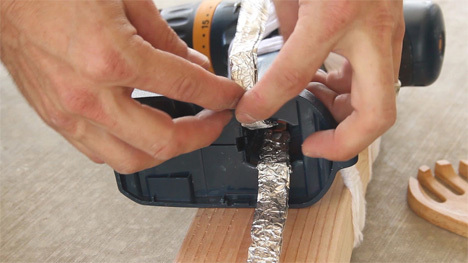 This incredible hack shows how you can turn a cordless drill and a few other household items into a working phone charger, MacGyver-style. 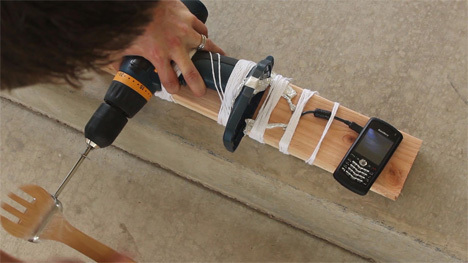 The project involves hooking up the drill’s battery terminals to an old phone charger and cranking the drill’s rotating end to generate electricity. 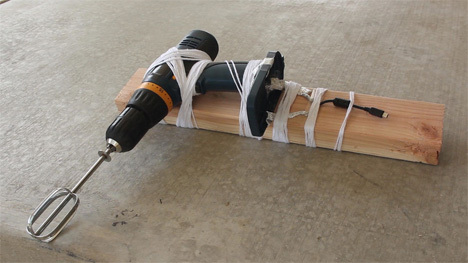 At a steady rotation rate the makeshift charger can generate about five volts. As with any project that involves hacking electronics and using objects for purposes other than those they were intended for, there is a chance of damage occurring. By following the instructions carefully and monitoring the results, you can minimize the risk. The project, from Grant Thompson, otherwise known as The King of Random, can even illuminate a small light bulb. It took about three hours of cranking the charger to charge the phone completely. When you’re in a tight spot and have no other way to charge your phone, a device like this is priceless – even if it does take forever. See more in Do It Yourself or under Technology. March, 2013.